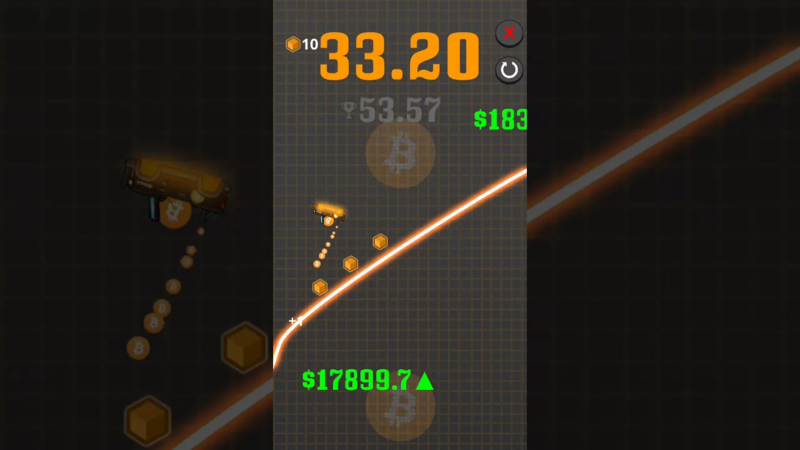 The premise of the game is rather simple: you cruise your tiny crypto-car along a set track and try to finish is the shortest time possible without crashing. 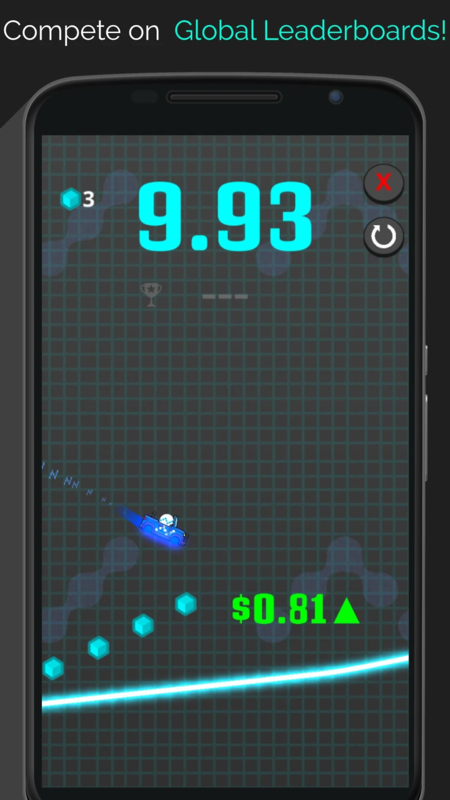 It's very similar to Line Rider — in fact, it borders on an outright Line Rider clone. 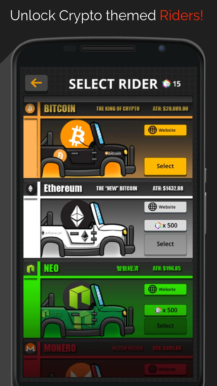 The major difference, however, is that instead of riding along some randomly sketched line, you get to ride the tortuous peaks and troughs of the price graph of several cryptocurrencies. 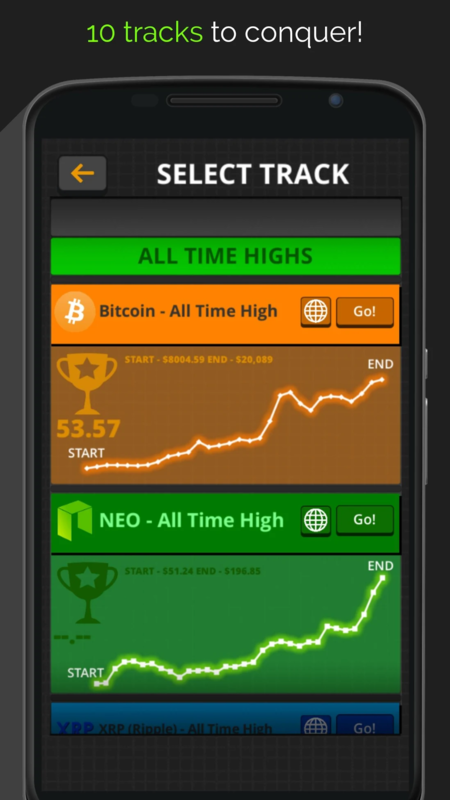 You start out with your very own Bitcoin car to race along the track. 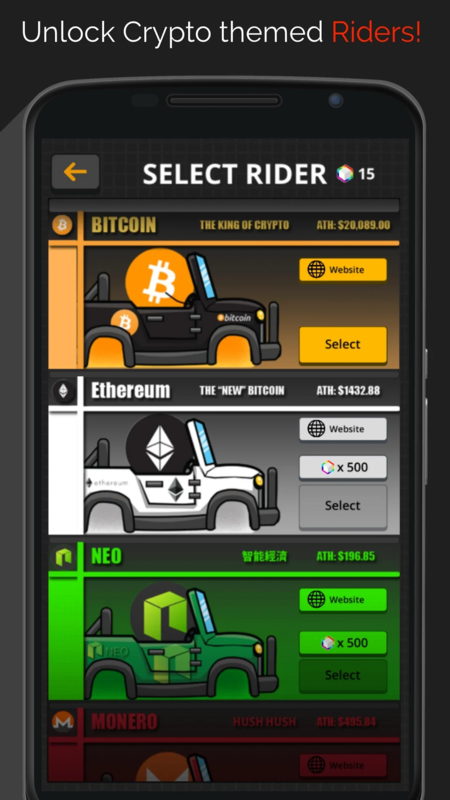 There are more cars to choose from, each with a different currency theme, which you can unlock as you collect more points, or blocks (for the blockchain, obviously). 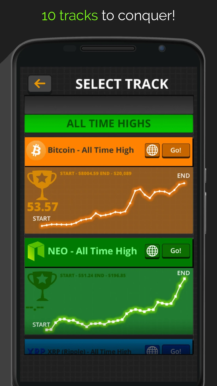 The track selection is also quite diverse, with favorites such as the climb to Bitcoin's all-time high, as well as not-so-favorites like its fall from $20k down to $7,000. Unfortunately, the tracks appear to be fixed and don't update or reflect live prices, which would make an interesting twist to the game. 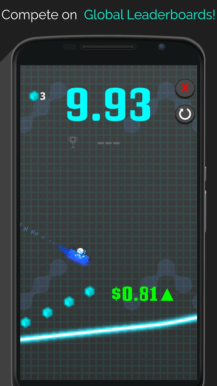 The game is free to download and contains no in-app purchases, but you can choose to give the developers a small crypto donation if you like.